Vineyard : Short pruning, labour at the end of winter. Green harvest and mechanic harvest. Winemaking : One part of the berries is pressed after 12 days of maceration and the other is obtained after one night of maceration. Analys : Alc. 11.36%, AT 4.06, pH 3.22, residual sugar : 34.4 g/l. 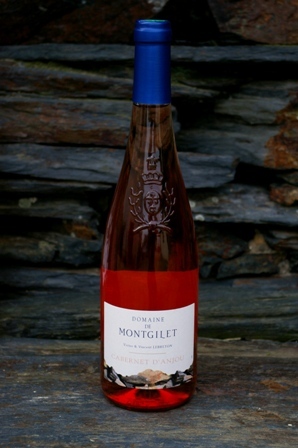 Tasting note : This wine gives a sensation of strawberry, the final is light and fresh. Dish and wine : served chill the Cabernet d’Anjou will be ideal before lunch or with a dessert.